Featuring: Pedro Barbeito, John Chamberlain, Lydia Dona, Eric Forstmann, Don Gummer, Fabian Marcaccio, Henry Moore, Chizuru Morii Kaplan, Paul Paiement, Robert Rauschenberg, Alexander Ross, Sidney Russell, David Shaw, and Pedro Vélez. 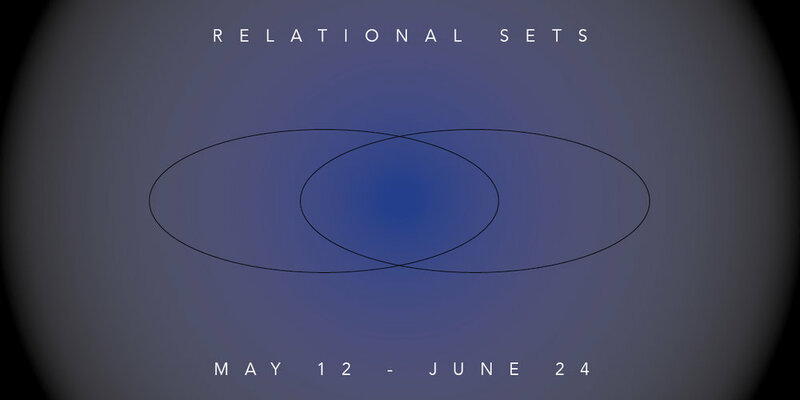 Eckert Fine Art is pleased to present Relational Sets, a group exhibition. The opening event with the artists will be held from 4-7pm on Saturday, May 12 at 12 Old Barn Road in Kent, Connecticut. The exhibition will continue through June 23, 2018. This show marks the kick off of the Second Saturday at Kent Barns season, and will feature eleven artists who show nationally and internationally, as well as works from two important 20th century artists. The show will span both the main and upstairs gallery spaces. 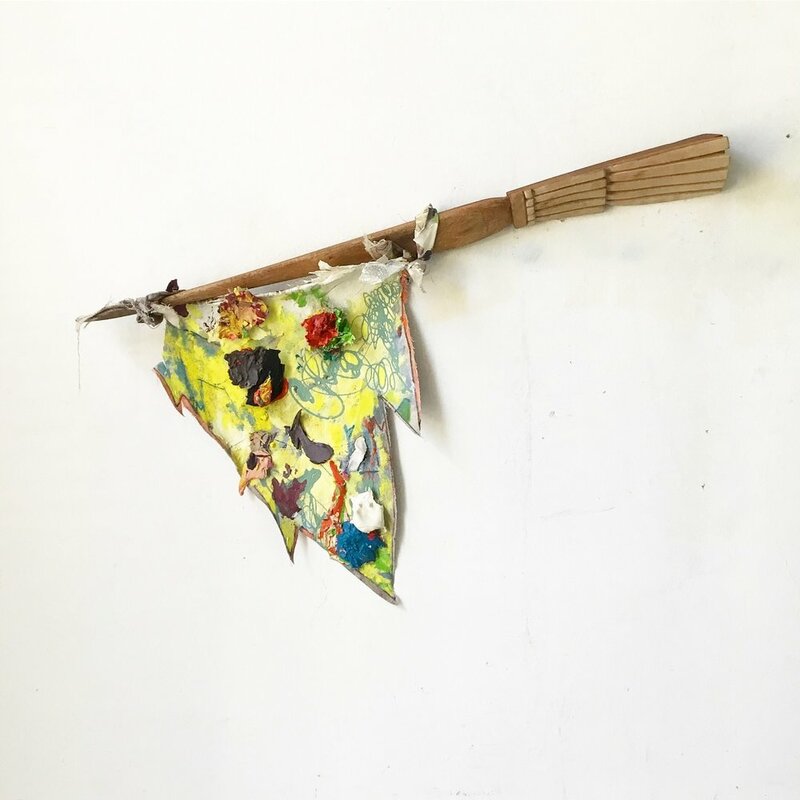 Originally conceived by Jane Eckert, and collaboratively engineered with gallery director Kevin Van Gorp, Relational Sets looks at the enduring impact that Robert Rauschenberg has had on their artistic tastes. Originally hired by Eckert Fine Art in 2003 and staying until 2005 – only to rejoin 12 years later in 2017 – Kevin Van Gorp remained in regular contact with Jane Eckert over the years, and an enthusiastic topic of conversation they would always come to would be the art and life of “Bob”, as he was referred to. 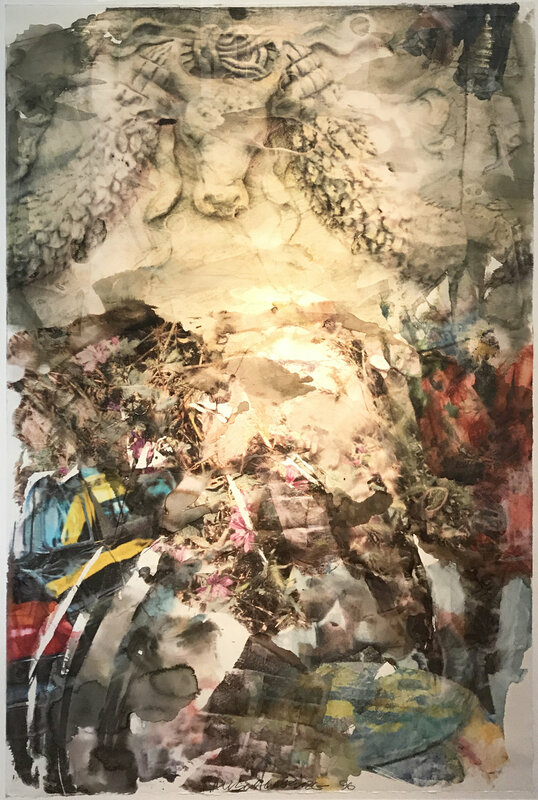 Fast forwarding to today, Jane Eckert proposed that the gallery do a show where she and Van Gorp would exhibit artists that were also highly impactful on their sensibilities over the years, while highlighting Rauschenberg as the central component to the exhibition. Van Gorp likened the blueprint of this suggestion to a Venn diagram. Hence, this show features two “sets” of artists that are “relational” to each other through an indispensable art historical precedent. Beginning then with Rauschenberg, the gallery will display a pair of important works from the Anagrams series (1995-97). 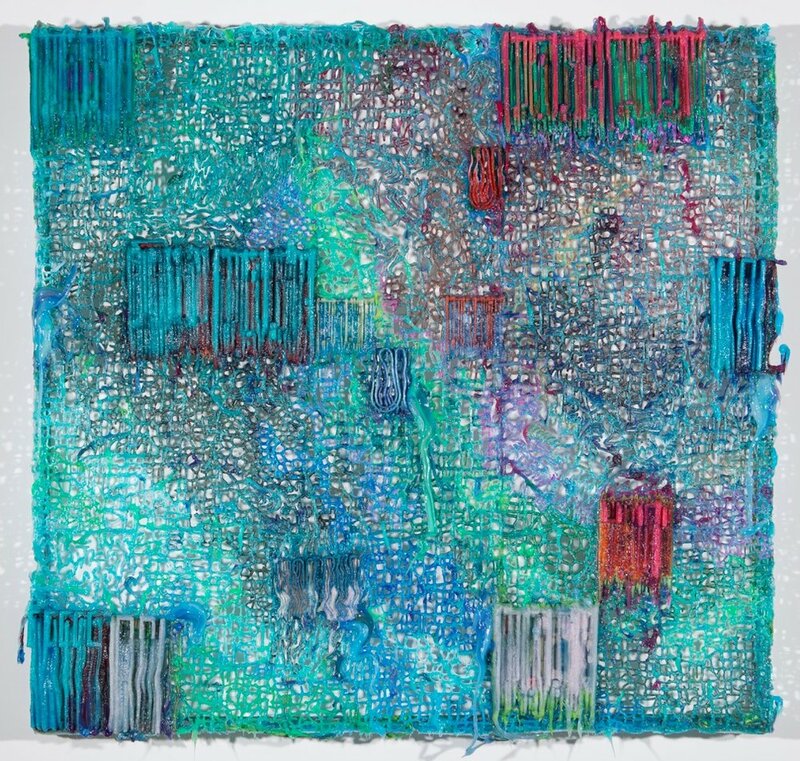 They were originally included in a show entitled Robert Rauschenberg – WinterWorks that Jane Eckert curated in 1996 at the Philharmonic Center For The Arts in Naples, Florida. 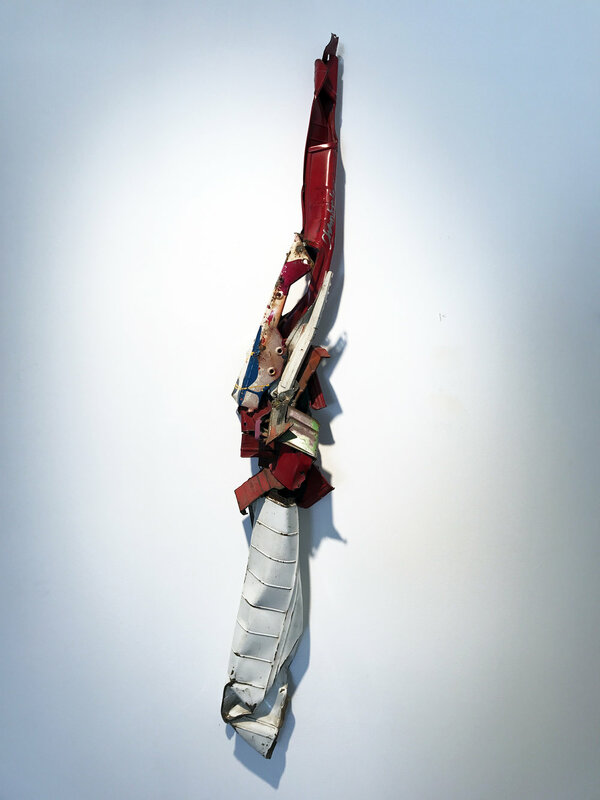 Measuring 69 x 48.5 inches each, New Reality and Reminiscence are extraordinary examples of Rauschenberg’s ability to meld traditional art-making techniques with the cutting-edge technological offerings of the day. 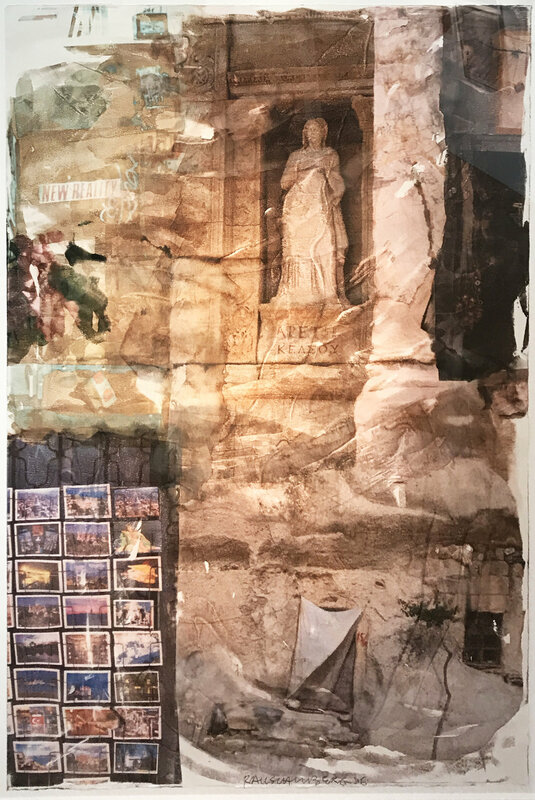 Using printmaking and photo transfer methods in tandem with newfound digital imaging technology, the Anagrams saw Rauschenberg literally painting with images (reversing the brush stroke towards final image progression) as early as 1992. These pieces serve as a fitting lens through which to consider the other artists’ works in the show. 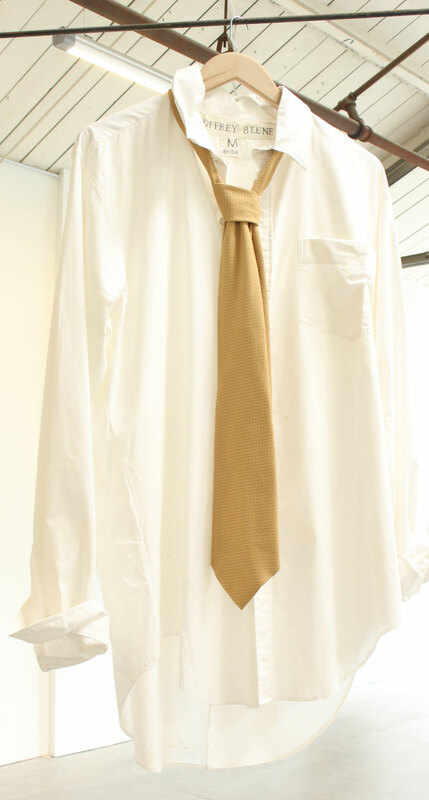 Each artist will include 1-2 quintessential examples of their work in the exhibition. Jane Eckert has chosen to invite four living artists and is including the work of two additional 20th century masters to round out the presentation. 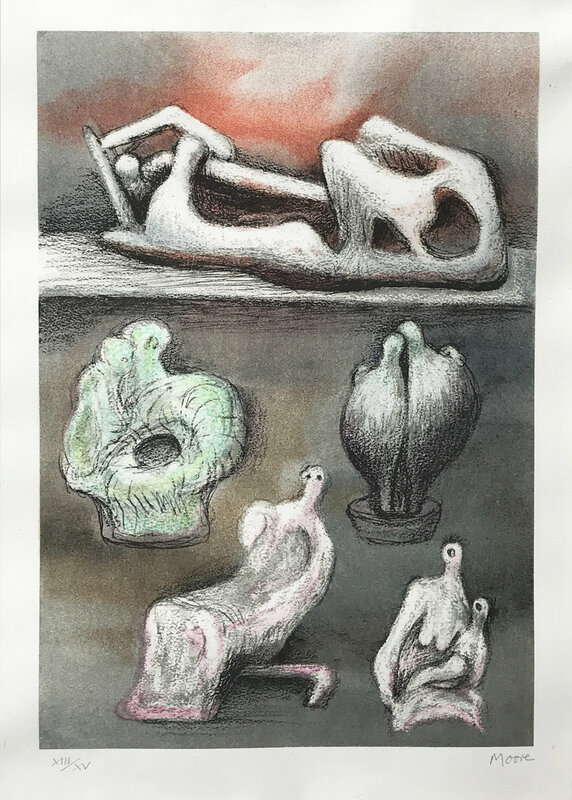 Artists included are Eric Forstmann of Sharon, CT, Don Gummer of New York City, Chizuru Morii Kaplan of New York City, Sidney Russell of San Francisco, CA, John Chamberlain, and the English great, Henry Moore. 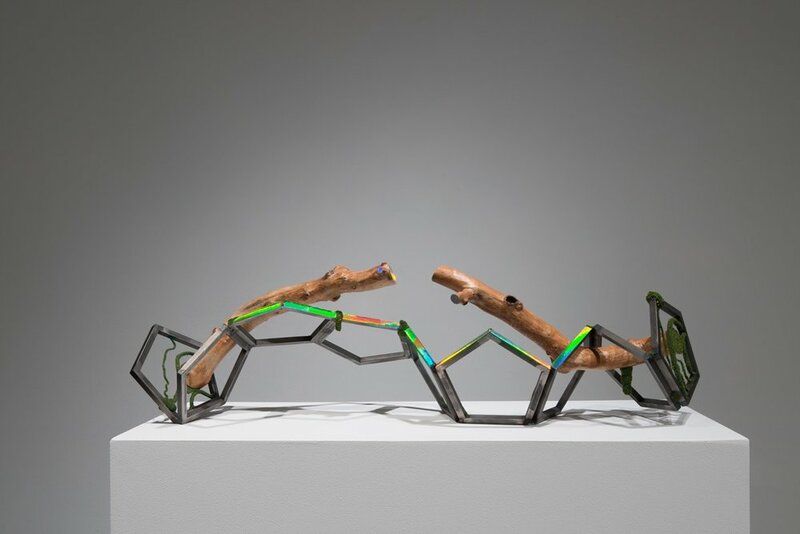 Eckert’s selection will reference traditional material mastery in the categories of oil painting, sculpture, watercolor painting, printmaking, and textile, and consider how these mediums continue to serve their purpose in contemporary art making. Kevin Van Gorp will include work by seven living artists: Pedro Barbeito of Easton, PA (formally of New York City), Lydia Dona of New York City, Fabian Marcaccio of New York City, Paul Paiement of Long Beach, CA, Alexander Ross of Great Barrington, MA, David Shaw of Brooklyn, NY, and Pedro Vélez of San Juan, Puerto Rico. 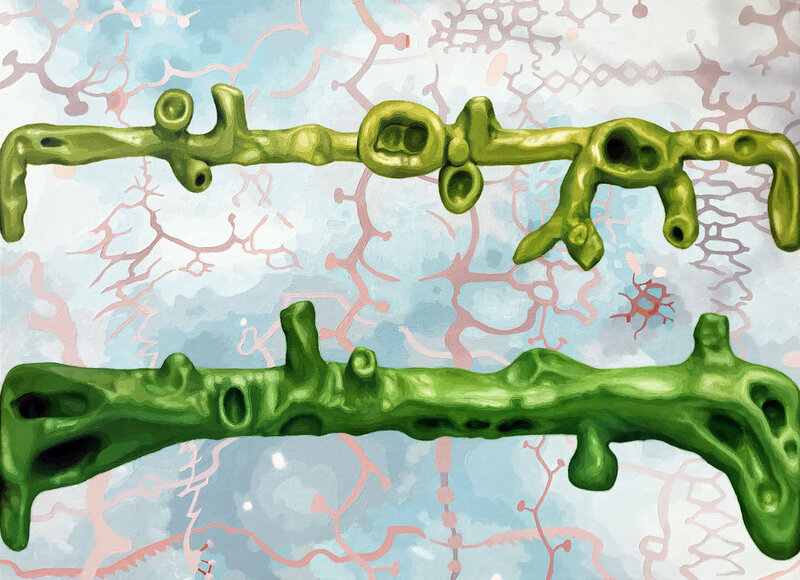 Van Gorp’s group collectively highlights a current of hybridism, where production technologies, scientific innovation, social media, and the Internet are spliced with painting and sculptural practices to produce complex and dynamic pictorial and visual experiences. In conclusion, this exhibition is not meant to be an overly analytic affair that delves into the theoretical underpinnings of post-War and Contemporary art. It is rather a jovial celebration of one’s journey in the art world, and a grand acknowledgement to those who have enabled, nurtured, informed, and reinforced that voyage along the way.